4th February 14: Basant Panchmi was celebrated in the school. In the assembly speeches were given by the students and poems were recited on the occasion of Basant Panchmi. 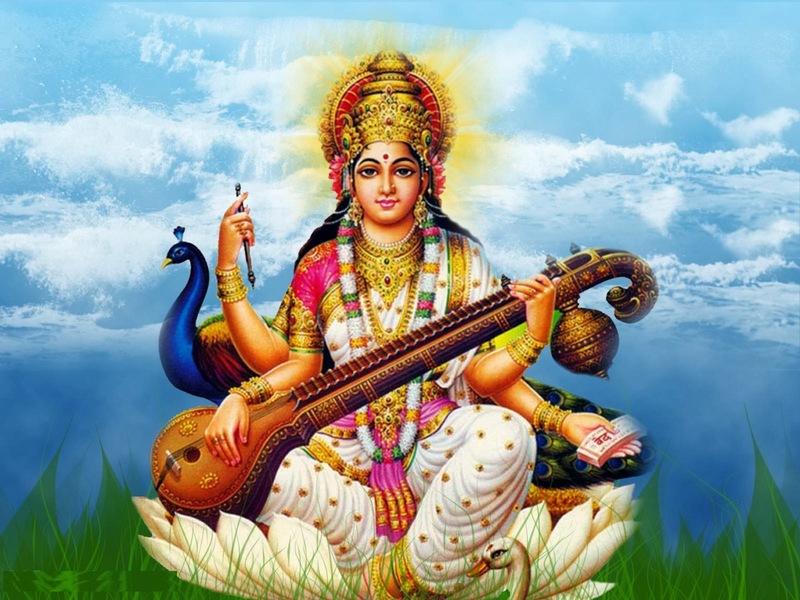 The students offered their prayers to Goddess Saraswati the goddess of knowledge on this day. 7th February 14: Friday activities were carried out in all the classes. Some did report writing, some did creative writing, some did mental sums and some went to the lab for practical. 8th February 14: As decided for every Saturday sports activities were carried out in all the classes. Class I to VI had different sports activities like dog & the bone, cricket & basketball. Class V had music & library classes. In the first half class II had G.K. classes and in the second half they had sports activities. Class IX was shown an educational movie while class X & XI had regular classes. Class VII & VIII went to Dantiwara. There were three teachers with them. There they learnt about animal husbandry & organic farming. If you have food in your fridge, if you have clothes on your body, roof over your head and a place to sleep than you are richer than 75% of entire world. If you have money in your wallet, a little change and go anywhere you want. You are among the top 18% of the world's wealthy people. The most important thing is to remain healthy. If you are healthy and illness is away from you than you are 100% wealthier of the entire world for if you are healthy than only you can prosper and achieve success in life.